The printer is the most used device in every office. It is an inevitable part of every business network. Choosing the right office printer may seem easy but don’t make a quick decision here since there are a lot of options to consider. No matter if you are looking for a home office printer or printing solution for enterprise this article will help you make a good decision. The first part of the article will introduce the best office printers in 2018. The second part though will explain what options you have and what should be your focus when buying a printer for your office. Please keep in mind that the article is written by recommendations and advice from our senior network specialists and IT consultants. Working with small and medium-sized businesses for past 15 years in many industries gave us an opportunity to see from the first hand what are the most important things to look after when choosing a business printer. Same stands for common mistakes and misassumption many business owners make. This is the list of best printers for your office in 2018. We put together the best models for this year into 4 categories that will satisfy small business or home office users as well as medium-sized companies. Don’t throw your money on the printer you don’t need. They are wallet-friendly. Most important they are reliable, easy to install and maintain and easy to use. In last 15 years, Secure Networks IT consultants had made a thousand remote support sessions and on-site visits for various IT services. Many of that sessions or visits were related to some printing issues, printer installation or solving problems with printer drivers. Many times, clients want straight answer how to choose office printer to do the job and not to break their budget. Usually, the client asks about the brand? Is Brother better than Canon? Or is HP better than Ricoh? Is Dell the right printer for my office? You shouldn’t look printers that way. Is it possible to say Audi is better than BMW or Merc? But talking about a particular model for specific usage will give you an answer to your question. You need to carefully perceive and realize your needs. How many employees you have? How many printers do you need? How much will you print, several or thousand pages per day? What kind of printing do you need? How many employees will use one printer? Are printed copies going to be used outside of the company, etc.? Those who listened to our advice have optimal printing experience no matter the business model or industry. This office printer guide is not based on one-day printer test or user reviews from Amazon or Consumer report, this is what came out from our experience working with clients in law industry, medial industry, restaurant supplying, automotive industry and many others. Before we move over to 10 main questions to ask yourself when buying an office printer, we need to discuss printing cost or average cost per page for printing. Do you know how much your company spends for printing, faxing and copying documents? Printing costs are expenses that include the cost of your printer device, ink or cartridges, and cost of printing paper. Here you need to add maintenance and IT support for printer related problems. 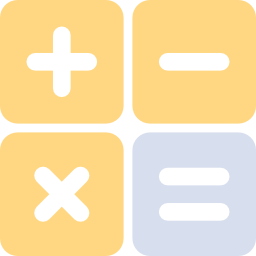 To calculate your company’s printing cost check this calculator. Remember, this is just an estimate. For the full cost audit consult your accountant or financial manager. Now let’s start with the basic and usually the first question. Question #1 – Monochrome or Color Office Printer? Choose depending on your business needs. If you are working as a marketing consultant, photography blogger, website or graphic designer you’ll need a color printer. You will probably show printed material at the meeting. And colorful and crystal-clear graphics will make an impression on your client. But if you use printer mainly for printing accounting data, printing emails and sales reports go with the black and white printer, monochrome solution. They are a lot cheaper compared to color version, maintenance of mono printer cost less, and usually they are faster. Expert advice: Always use monochrome office printer as a starting solution. Question #2 – Printer Connectivity Type? NFC connectivity – latest models have even option to connect via Near-Field Communication. You can touch thr printer with a smartphone or tablet on a place with NFC sticker and start printing. Expert advice: It’s convenient to have Ethernet and WIFI connectivity and allow office network users to have a printer at their disposal. Wireless printing is a MUST nowadays. Question #3 – Laser or Inkjet Office Printer? Although both have pros and cons this question has a straightforward answer. If you print documents and emails with no images always go with laser office printer. If you print images often you will definitely need business inkjet model. Laser printers are a lot faster than inkjets; if you need to print a lot of documents per hour in the busy environment don’t even consider inkjet as a solution. Laser printers are not that much expensive like they use to be several years ago. They improved quality of image and graphics printing as well. Inkjet office printer demands more maintenance and after-buying costs are much higher compared to models that use laser technology. Ink replacement can be expensive especially for color models. Entry models use tree ink cartridges and if drain one color you will need to replace other two as well. Models with separate cartridges (pigment-based) cost more but the investment is worth of trying if you print photos daily. For some color inkjets, you’ll need to buy the special paper if you want to achieve good print quality. Expert advice: 90% of business users don’t have a need for inkjet office printers. Do the math carefully. Read this printer buying guide to calculate ink vs toner cost. Question #4 – All-In-One or Printer Only (plain model)? This is a good one. When we say all-in-one (AIO) business printer we mean printer with scanner and fax (with the option to send email) in one device. Some call them multifunction office printers. All-in-one office printer is a very common solution both for small and enterprise businesses. Multifunction office printer comes as laser and inkjet model. They can save a lot of space in your office since you don’t need an extra place for fax machine and scanner. Along with saving space, it will save your money. One device always cost less than three. Depending on the budget all-in-one printer can have performance quite enough to handle all printing needs for small and medium-sized business. For less than $400 you can have a decent printer, copy and scan machine in a single unit with this or similar specs: print speed 33 pages per minute and a scan resolution of 1200x2400 dpi. Quite enough for the all-around player. Depending on print capacity (even up to 70,000 copies per month) printers meant for enterprises can cost up to $50,000. Expert advice: Multifunction office all-in-one printers are great options both from the technical and economical side. No matter if you have a team of 10 users who print 3,000 pages per month or your needs are 20,000 pages per month, one quality all-in-one laser printer will do the job effectively. Carefully examine your requirements and compare prices from several brands before making a final decision. Question #5 – Paper Feed and Handling? For a lot of clients' paper feed is something they need to consider when buying a printer for business. Our experience taught us that feed should not be determining factor. All printers have less or more similar specification regarding paper handling. Business printer trey can hold more than 100 sheets of paper. Paper output is around 250 sheets usually faced down. There are two trays to feed printer with paper, manual for just single sheet, envelopes and cards and main paper feed. Some models have alternative top media feeds for several sheets or cards. Expert advice: Always use paper according to printer specifications and never overload your printer with paper. Search online to find manufacturer recommendations about printing on different types of paper. Question #6 – What About Speed? Hurry up, speed things up…. Quickly, C’mon. We are in a constant hurry. We have an urge to speed thing up all the time and same goes for office printers. The higher the speed the better. Same as for home printers, business printer speed is measured in pages printed per minute for A4 or Letter size. Usually, business printer speed is in the range from 33-44 pages per minute (ppm). Speed is very much in correlation with printer size. Big business printers print faster than smaller models. Laser printers print faster than inkjet models. Printing images needs more time than text. Printing speed also depends on resolution, paper quality or font used in the document, color, etc. You should be aware that printing speed can be different in reality and office environment compared to speed declared by the printer manufacturer. This is how HP measures the speed of office inkjet printers by new ISO standards from 2009. Expert advice: Don’t be surprised if printing speed is almost 2 times lower compared to printer specifications. Manufacturers measure printer speed in optimal conditions. For fastest printing results always set printer options to default values. If you print mainly Excel tables, emails, and small graphics buy a laser printer and set the resolution to the minimum. Again, all depends on your business. If you are working as a photographer, you will definitely need specialized printer like plotter or line printer capable to print images in large dimensions. For printing on a remote location, you should get yourself a small portable printer. Connect printer via USB with your laptop and you are ready to go. Big office printers usually have better printing speed. Expert advice: If you run a law firm, non-profit organization or small animal hospital small office printer capable to print from B4 to Letter paper size is something you need. They have an option for two-sided printing both in portrait and landscape mode. If you need to be mobile and print on the field, choose on-the-go printer. Small dimensions and weight, around 10 inches and 3 pounds recommend these as a good option. Don’t expect outstanding printing results but hey, you can print in the train, plane or in the park. How cool is that? Question #8 – Printer Resolution? Printer resolution is best to explain through DPI – dots per inch that refers to printer output resolution. PPI or pixels per inch, on the other hand, refers to the input resolution of the image. The more dots the better. Higher resolutions mean a clearer image on the paper. As someone who uses the printer to print out sales report, email and CSV table standard resolution is quite enough. Standard resolution for inkjets and laser office printers is from 300 dpi to 1200 dpi. Professional models used by photographers can be 2880 dpi or even more. Expert advice: If you print just text set printer (laser model) resolution in settings to 300 or 600 dpi. Going with higher resolution will just waste your toner without noticeable increment in quality. Question #9 – Software & Drivers Support? All the latest business printers work in Windows environments, from Windows XP or Vista to the latest Windows 10. Mac and Linux users don’t need to worry too. All manufacturers have driver and software support for different Mac OS and Unix, Linux and Solaris operating systems. Question #10 – Operating Temperature, Noise Level…? It is always good to have a printer that won’t make a lot of noise. Standard noise level for office printer is around 50 dB. Working or operating temperature is from 10° to 32° C.
Expert advice: Keep office where the printer is located (especially if you use large office printer) well ventilated. If you use large all-in-one printer used by a team of 20 people, it would be good to have dedicated printer room.